Lowe Vintage Instrument Company specializes in bringing our customers the finest vintage fretted instruments in a friendly, relaxed atmosphere. Since opening our storefront in downtown Burlington, North Carolina in 2014, we have been recognized by NAMM as one of the top music retailers in the world with their annual “Top 100 Dealer” award for three consecutive years. Whether you’re looking to buy your very first vintage instrument or want to sell a lifetime’s collection, we appreciate the opportunity to earn your business. 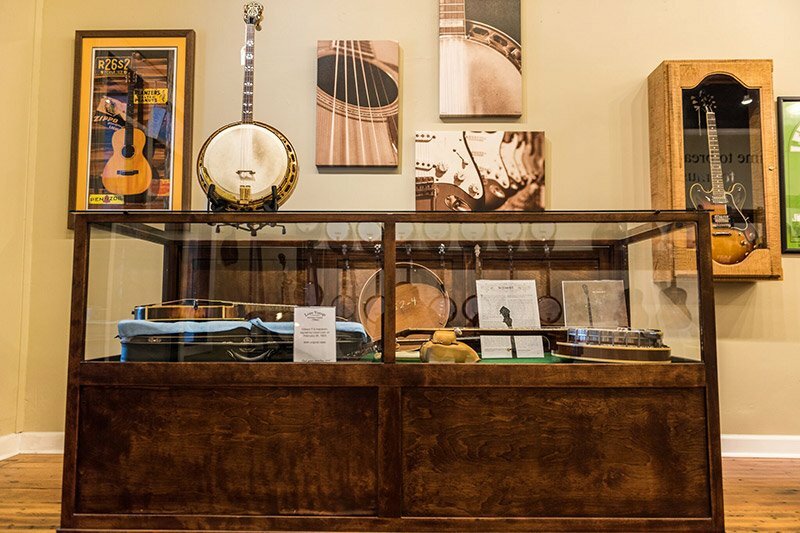 What began as a shared passion for music and vintage instruments between father and son Ed and Will Lowe has grown into one of the most unique acoustic instrument shops in the area, occupying the 128-year-old building at 327 S. Main St. in downtown Burlington, NC. 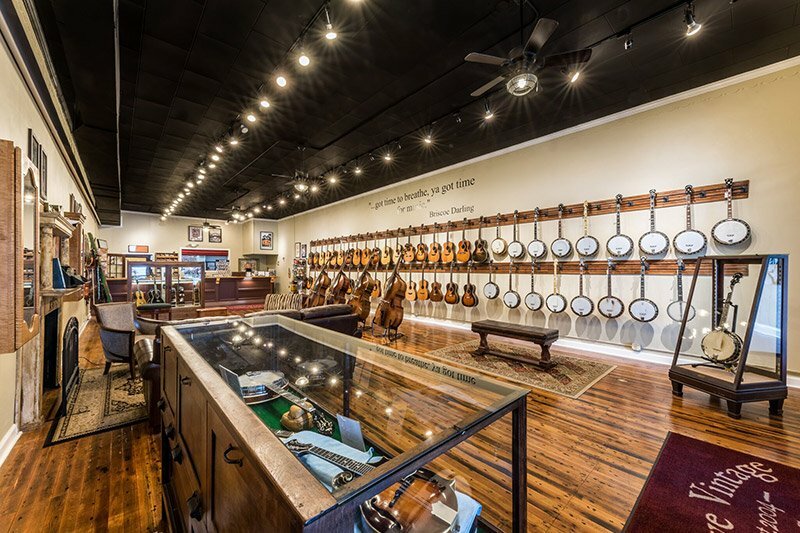 At Lowe Vintage you’ll find a carefully curated selection of vintage and used acoustic guitars, banjos, mandolins, basses, and vintage electric guitars. We take pride in offering quality instruments to our customers. 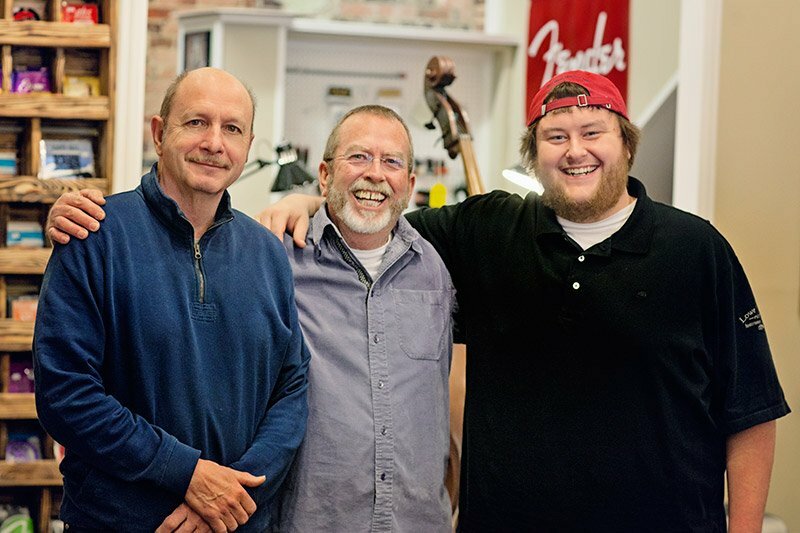 Luthier David Sheppard joined the team at Lowe Vintage right after we opened our doors, bringing over 40 years of repair experience to the shop. Before any instrument is offered to you in our store or on the website it has been evaluated, repaired if necessary, and set up. We strive to take the uncertainty out of buying a vintage instrument by offering issue-free instruments with no "surprises" once you get them home. Come visit us Tuesday thru Friday, 10:30am - 6:30pm, or schedule an appointment through the “Contact Us” section of the website. We look forward to helping you “find YOUR timeless tone”.